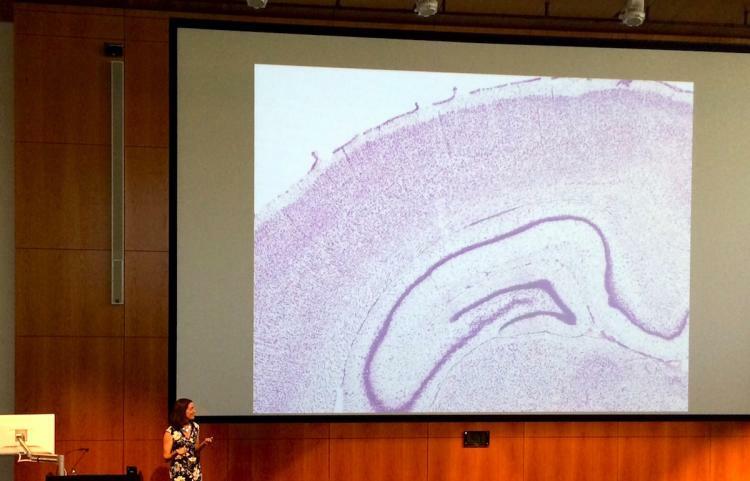 Neurofutures2016, a conference hosted by the Allen Institute for Brain Science, along with the University of Washington, Oregon Health & Science University, and University of British Columbia, explores new innovations at the interface of neuroscience, medicine, and neurotechnology. At the June 19th public lecture, a former UW post-doc, now leading experimental neuroscientist, talks about how she uses optogenetics to probe decision-making in the brain. In an unmissable keynote speech at Neurofutures2016, Dr. Anne Churchland of Cold Spring Harbor Laboratory gave us a glimpse into how her neuroscience work has developed since her time as a postdoctoral fellow in the UW Department of Physiology and Biophysics. Introduced by the Allen Institute's Executive Director Jane Roskams as a “leading light in neuroscience,” Churchland spoke about her investigation into how the brain integrates different pieces of sensory information to guide decisions. Churchland's goal is to surmount one of the highest hills in neuroscience—building a theoretical bridge from our solid understanding of simple motor reflexes to complex, flexible behaviors such as decision making. She thinks the best approach to begin to make that link is to study multisensory integration, the innate ability of the animal brain to combine different pieces of contextual information in the environment, such as sound, visual, and emotional stimuli, to arrive at a strategic behavior. The primate brain, and the rodent brain as Churchland showed to everyone's surprise, integrates auditory and visual information in a “statistically optimal way,” or the most efficient and unbiased way possible, by rapidly estimating the reliability of the cues available at the moment and combines them, relying more on higher quality cues than lower quality cues. For example, we pay closer attention to visual cues from a person's face when we can't quite hear amid background noise. At Neurofutures2016, she explained her experimental paradigm. 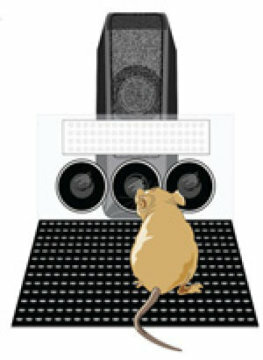 In her lab set up, a rodent plays in a “behavior box.” The animal is presented with sensory stimulation in the form of visual flashes and/or auditory clicks, and must judge whether the frequency is high or low. Earning a reward if they indicate the correct answer by pressing their nose into one of two ports, they quickly learn the task. She finds that, to the same extent as observed in primates, rodents perform better when they get both the auditory and the visual stimuli together (multisensory information), rather than just one type of cue. Entering the scene in 2005, optogenetics has given researchers the tools to engineer particular neurons in an animal's brain so that their activity can be switched on or off with flashes of laser light, allowing the role of neurons in a behavior circuit to be investigated, in real time. So far, Churchland has used optogenetics to disrupt the activity of neurons in the mouse brain's posterior parietal cortex (PCC) at the moment when the mouse needs to make the crucial decision of what button to push. In preliminary experiments, she has gathered evidence that disrupting the PCC is severely detrimental to the animal's performance on trials involving visual information, but not so much auditory information, suggesting that the PCC is specifically involved in using visual information to inform behaviors. “The right theoretical frameworks for multisensory integration are still being developed,” said Churchland. This detail is poised to change the widely accepted notions about multisensory integration in the brain. “We used to think that the PCC receives both auditory and visual input in the same way. But now, we can revise this model. These experiments suggest that this area has a big role in processing visual input, possibly helping the animal to discriminate separate sensory events. We are also finding evidence that the actual integration of arriving sensory stimuli happens elsewhere, probably in the frontal lobe,” she said. Read about how the Buffalo Lab uses videogames to figure out how the primate brain forms memories—and find clues to interventions for Alzheimer disease along the way in Gaming the Memory System. Follow us on Facebook. Tweet and Twitter with us!